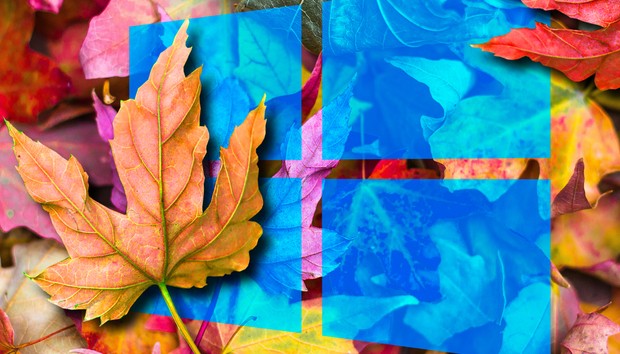 Microsoft today told enterprises that Windows 10's second feature upgrade of last year, October's "Fall Creators Update," had been sufficiently tested and is ready to deploy across their organizations. The announcement came slightly short of three months after the Oct. 17, 2017, debut of Fall Creators Update, better known to corporate customers as 1709 in Microsoft's yymm nomenclature. "Enterprise customers...can also fully deploy when ready," wrote John Cable, a Microsoft director of program management, in a post to a company blog. The interval between 1709's launch and today's pronouncement was the shortest yet for Windows 10, a full 21 days shorter than the previous record, which had been set by its predecessor in March. Microsoft overhauled labeling of the various stages in its Windows 10 servicing plan last year, changing both the initial push and the subsequent delivery to enterprises - dubbed "Current Branch" and "Current Branch for Business," respectively - to "Semi-Annual Channel." But the customer buckets remained unaltered. Until today, consumers have comprised the bulk of those running Windows 10 version 1709. Only now has the upgrade been declared okay for business. Microsoft continues to make this business-ready declaration even though it tossed the original multiple-Branch servicing model, and even though Cable today reminded IT personnel that "You no longer need to wait for our signal - deployment control and choice is yours." That have-cake-and-eat-it-too attitude - Microsoft increasingly stresses that customers are in charge, even as it automatically feeds upgrades to them - has been almost as puzzling as the original process. Rather than wait for Microsoft's signal, enterprises are encouraged to roll out upgrades, albeit to internal piloting programs, as soon as consumers are offered them, and then move on to environment-wide deployment as soon as testing is completed and corporate IT staff are confident workflows won't be sundered. The most likely explanation for the new emphasis is that Microsoft is pushing customers to pick up the upgrade pace because enterprises have been so slow that the company has been forced to extend support timelines beyond their stated 18-month spans. Cable today also touted tools, notably Windows Analytics, that Microsoft now offers business customers. The tools are designed to give IT departments greater visibility into ready-to-upgrade systems so that administrators can pull the refresh trigger faster. Windows 10 Pro- and Windows 10 Enterprise-powered systems that rely on the consumer-grade Windows Update for servicing will be automatically offered 1709 beginning Jan. 18. Revised media with the latest security- and non-security updates included in 1709 will be made available to administrators through Windows Update (WU), Windows Update for Business (WUfB), Windows Server Update Services (WSUS) and the Volume Licensing Service Center (VLSC) the week of Jan. 22, Cable added. Enterprises that run Microsoft's System Center Configuration Manager (SCCM) or WSUS, or a third-party update-and-patch platform (which in turn rely on WU), can, of course, roll out 1709 to PCs at IT's discretion any time after that. Microsoft has tentatively set end-of-support dates for 1709, as well as past upgrades, in a fact sheet found on its support site. Version 1607 (Anniversary Update) and 1703 (Creators Update) are to fall off the support list in March 2018 and September 2018, respectively, while 1709 has until March 2019. It's probable that Microsoft will reschedule the 1607 retirement, however, as a previous extension to 1511 has that late-2015 feature upgrade receiving security and non-security updates until April 2018.